This Mickey and Minnie sculpture commemorates that special day for a couple. Perfect as a wedding gift or Anniversary memento! 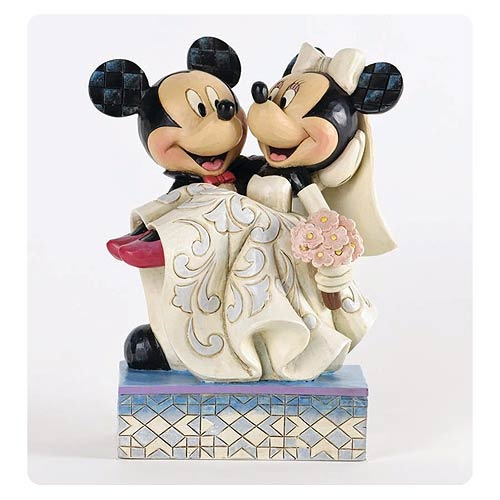 The Disney Traditions Mickey and Minnie Wedding Statue is made of stone resin and measures approximately 6 1/2-inches tall x 5 1/4-inches wide x 4-inches long.